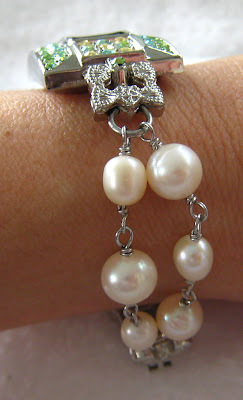 The matching pearl bracelet i was making the other day turned out to be a bracelet watch now. 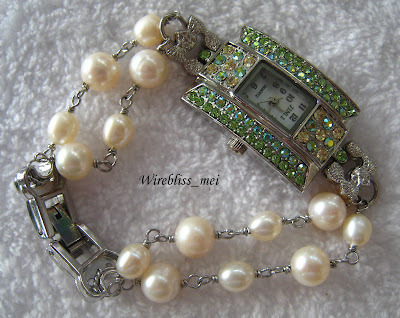 It was a bracelet for a day then i remembered i bought the watch few weeks back and decided there and then to modify it. Quite please with the outcome though. Labels: Bracelets | Cuff , Watches Share it! Gorgeous! Do you sell your work? how much would the watch go for? Thank you and yes i do sell my work. The watch is going for 150.